I’d like to open a window for you to see what I experience during the 24-72 hours after birth as a hospital-based IBCLC in the United States. It may or may not surprise you, but it will definitely broaden your perspective. A typical day for me and my colleagues begins with accessing a current census report of mothers in the postpartum unit, the NICU, and the pediatrics unit. Prioritizing patients is one of the most difficult tasks I face. The reason is simple: every nurse correctly believes that her patient is the most important and needs to be seen immediately. In many cases, when I tell a nurse that her patient will be seen later rather than sooner, I listen to her case assessment and help her by making specific suggestions on how to help get through the next feeding or two. Every day, I teach as many nurses as I do moms, reinforcing both clinical and assessment skills and reframing perspective in terms of infant health outcomes. Collecting information on dyads is a time-consuming task. I consult the charts; check the white board on which nurses write feeding status and significant outcomes for each dyad; talk to nurses and pediatricians; and most importantly, I talk to the mother while I observe her baby at her breast. Often a postpartum mom is medicated, stressed from a difficult or long birth, and overwhelmed by the sheer number of hospital employees knocking on her door for various reasons. Talking to the new mother is an exercise in proper communication skills to overcome her reluctance to let another stranger into her world and to build credibility and a sense that I am there to advocate for her and her baby. The more you talk, the more opportunity is created to educate, correct myths, and address misperceptions. In the hospital, many times the moms I see are not yet aware they need help. She may not even truly want help. That puts an extra burden on me to discern how much I can assist, and I’ve learned through experience to sense from her responses when it is advisable for me to ask explicitly whether she would like me to work with her, what were her original feeding goals, and how she would like to proceed while still in hospital. During my hours on the floor, I wear a pager so that patients and staff can find me in the building. We maintain a lactation helpline where any mom in the community can leave a voicemail if she needs breastfeeding support and I also see moms on an outpatient basis as needed after they have been discharged home. I do a LOT of paperwork. I am required to document every contact with a mother, short or long, phone or in-person, and also some with nurses where I give specific instructions on how to help. I am required to document those contacts on my own daily activity log, as well as documenting them in legally-approved patient charting methods, all of which are handwritten in our facility and are subject to subpoena by the courts in case of litigation. When I have contact with the mother of a baby in NICU, I document in the baby’s chart, plus I also make notes on the contact on an individual dyad tracking sheet to assist with continuity of care among lactation consultants because the physical charts for those babies are not easily accessible to us. I sign in multiple places in patients’ charts that I have provided required education on those topics, and I collect feeding statistics from mothers for hospital reporting requirements. I compile multiple types of breastfeeding statistics for various purposes within the hospital; sometimes those reports influence policy and procedural changes, a very rewarding direct outcome of my efforts. I facilitate a monthly breastfeeding support group sponsored by the facility. I assist in formal staff education events held annually for each individual unit within the Maternal Child Health Department. Our lactation staff doubles as the Parent Education staff (and thus required to maintain current certification as Childbirth Educators) so we are responsible for teaching Childbirth Education Series, Prenatal Breastfeeding Classes, and hosting weekly maternity Orientation Tours of the facility for pregnant women and their partners, in addition to teaching a daily Discharge Class for patients discharging home that day. We create handouts for parents which meet Baby Friendly standards and IBCLC Standards of Care. I am sometimes called upon to assist hospital employees who themselves are facing breastfeeding and/or pumping challenges as they return to work and advocate for them as needed. I collaborate with the local Women, Infants, and Children (WIC) services to ensure individual mothers in need get breastpumps and basic breastfeeding support as needed. I often wish I was able receive feedback and validation which comes from building a relationship with my patients. Almost everyone I see disappears into the ether and I never know if I affected them. Fortunately, there are those beautiful few who call with questions, who come back in for more help, who send lovely thank-you cards, who attend support group, and whose babies I am privileged to see as they grow up. I feel comfortable speaking for all my hospital-based IBCLC peers in saying that the rewards we reap from just a tiny few of those we meet in our demanding professional setting are enough to make us happy to see the multitudes every day. Christine Staricka became a Certified Lactation Educator through UCSD while facilitating local breastfeeding support groups. She studied independently while accumulating supervised clinical hours and passed the exam in 2009 to become an IBCLC. She holds a BA in Business Management from University of Phoenix. She has contributed to USLCA’s eNews and she moderates a community-based breastfeeding information and discussion page on Facebook at Facebook called BakersfieldBreastfeeds. She enjoys tweeting breastfeeding information as IBCLCinCA and maintains a blog by the same name. She is a wife and mother of 3 lovely and intelligent daughters and aunt to 4 nephews and 2 nieces, all of whom have been or still are breastfeeding. She is partial to alternative rock and grunge music, especially Pearl Jam, and attends as many concerts as financially possible with her husband of 18 years. At Lactation Matters, celebrating World Breastfeeding Week means not only highlighting breastfeeding in the many countries on earth, but also in the individual cultures in each country. One size does not fit all! Today, we share an interview with Yang Her, an IBCLC working with the Community Resource Project WIC program in Sacramento, CA. She has worked tirelessly for many years to encourage and support the Hmong mothers in the community to breastfeed. The Hmong people are a group of Asian people, originally from mountainous regions of China, Vietnam, Laos, and Thailand. Many came to the United States as refugees following the communist takeover of Laos, settling primarily in Wisconsin, Minnesota and California with Sacramento being home to one of the largest populations. Breastfeeding support that focuses on the unique cultural needs of a mother is always important. How did you come to be an IBCLC? What personal and/or professional experiences led you down the path? I had my first child, Leo, in June 1989 and was not able to breastfeed him because I didn’t have any breastfeeding education. While I was pregnant with him, there were a number of controversial of breast cancer commercials on television. 3 days after our birth, I woke up with body aches, as well as very painful and lumpy breasts. All I could remember was what I had watched on TV and wondered if I was at risk for breast cancer! I was scared and called my doctor right away. When I got to the doctor’s office that morning, he said not to worry and explained a bit about engorgement. He gave me a tiny white pill (I had no clue what it was called) and told me to give Leo formula. That same day and through the night, the pain in my breasts went away slowly. By day 4, I resumed breastfeeding but Leo was fussy and pulled away from my breasts. By day 5, my breasts are soft and from that day on, my milk dried up. Leo was on formula and he didn’t tolerate it well. He would vomit with one formula or gets diarrhea or constipation with the other. I also had to return to work after 6 weeks but had to quit shortly after my return because my son was sick so often. When I was pregnant with my 2nd child, Allen, I was determined to breastfeed and learned as much as I can about breastfeeding. I breastfed Allen for 3 1/2yrs and loved the experience and went on breastfeeding my 3rd and 4th child. Several years later, in 994, I was a WIC participant and was recruited as a Hmong breastfeeding peer counselor. I worked in that capacity for a year and learned that I was not the only mother that didn’t know much about breastfeeding. My passion to advocate, educate, promote, and support breastfeeding mothers grew. 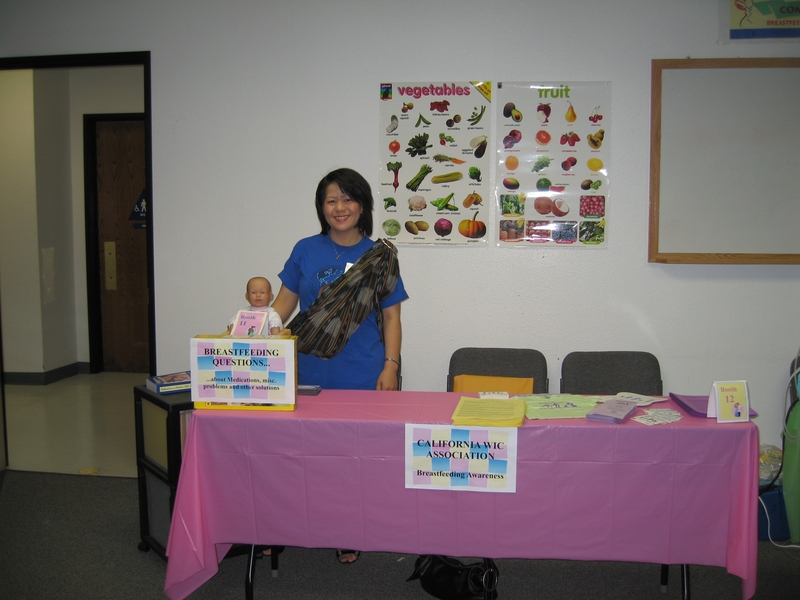 I continued working with WIC as a nutrition counselor as well as a breastfeeding educator. It was so rewarding that I went on to pursue my CLE in 1999 and became an IBCLC in 2005. What are the cultural norms of breastfeeding in the Hmong culture? What specific challenges are there in working with this population of mothers and babies? Back in our homeland, almost every Hmong mother breastfeds. The child and mother hardly separates from each other and if they do, the time is brief and the baby is fully fed before the mom goes anywhere. Mothers always carry their babies either on her chest or her back with a baby carrier. Whenever the baby shows hunger cues, the mother would remove the baby from the carrier and breastfed, and then once the baby is content, she carries the baby again. This is how she continues to do her daily tasks whether it’s cooking, sewing, cleaning, or farming. 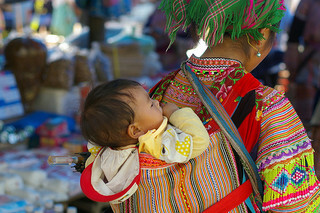 Hmong mothers are very creative in caring for their infants while maintaining their roles as a wife, mother, and daughter in-law. A mother can wear 20 different hats and would still be able to breastfeed her infant. There was no such thing as pumping and storing for separation periods. Food and breastmilk cannot be stored in one place. This means, a breastfeeding mother who works or in school will need to buy a new refrigerator or freezer just to store her pumped breastmilk. Breastmilk cannot be leaked anywhere. Culturally, there is a significant risk if anyone other than her infant accidently ingests or touches her breastmilk. The in-laws may discourage a mother from breastfeeding by telling her that if she breastfeeds, she would need to stay home because they will not take the risk of touching her pumped breastmilk. What I have witnessed is Hmong mothers who are married to Hmong men are more likely to not breastfeed. On the flip side, Hmong mothers who are married outside of the race are more likely to breastfeed. 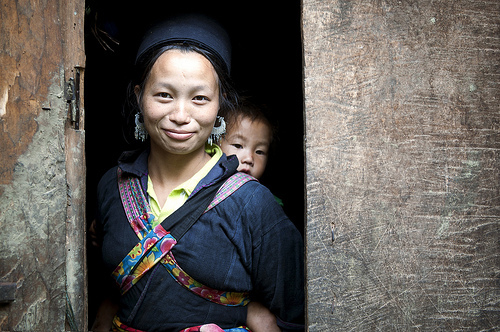 When I asked for their reasons, almost always, it’s the Hmong belief that prevents the mothers from breastfeeding. The cultural beliefs is often not discussed with the mother until she decides to breastfeed. I look forward to sharing more about these beliefs in my upcoming book. Can a Hmong LC like me make a difference providing breastfeeding education? It is possible if I can find a solution to the Hmong belief and restriction of human milk. I know I have a long way to go but I also believe that where there’s a well, there’s a way. It’s a matter of time. What is one of your most rewarding experiences as a breastfeeding professional? One of my most rewarding moments is when a breastfeeding mother comes to her appointment feeling discouraged, sad, and in pain and walks out of my office at the end of a consult feeling confident, understood, and knows that she’s not alone in her journey to successfully breastfeeding. Thank you, Yang Her, for the work you are doing among Hmong women! 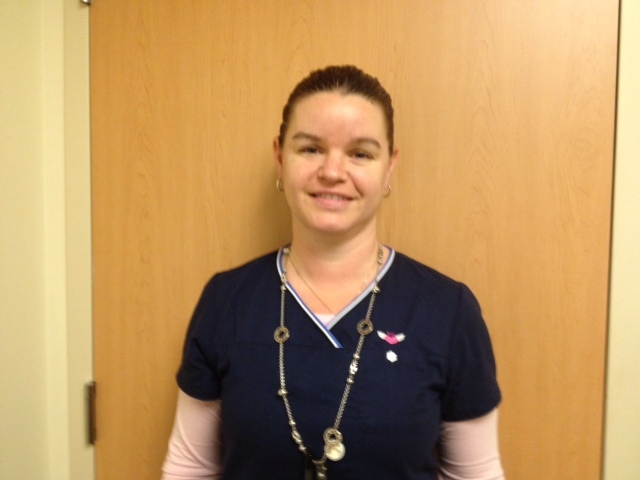 I would like to introduce you to Kathleen Stahl, an RN and IBCLC from the Annapolis/Baltimore area. I first met Kathleen at a local educational meeting and have since had several conversations with her about her unique perspective on breastfeeding support. As a NICU IBCLC in a hospital that primarily sees an underserved population and with a private practice in a particularly wealthy area, she sees a wide range of perspectives on breastfeeding support. Can you describe a typical day in your current hospital job? I work as a lactation consultant in the NICU of a large, Baltimore hospital. Most of the babies that I see in the NICU are very premature and may not feed by mouth for several weeks or more so, in working with them, I support moms in pumping. I touch base with any moms who are coming in for feedings but many aren’t able due to transportation issues. I will follow up with moms who are still admitted to the hospital, making sure everything is going well and that they have a breast pump for discharge home. I will also see anyone who is on bed rest prenatally that is high risk to talk about the value of breastfeeding. I also do consults in the NICU during the day for the babies that are starting to go to breast. In addition, I do follow up phone calls to track our breastfeeding in the NICU at 1 week, 2 weeks, 6 weeks, 3 months, and 6 months and provide outpatient support as we frequently have preemies going home that are not consistently feeding well at breast and will need to have supplemental expressed milk. The outpatient consult also gives the mother the confidence and reassurance she needs to wean off of breast milk supplementation to exclusive breastfeeding. I have found that in this particular NICU setting, private outpatient consultation has been more successful than breastfeeding support group once the babies are discharged. Mothers can schedule the time to come in when it works for them. While all the mothers have phones, many do not have cars or computers, so finding the best mode of communication for each mom is vital. The majority of the time I spend educating mothers on the value of breastfeeding. It is a very scary and stressful time for these mothers with babies in an intensive care unit. They are afraid to touch and hold their babies and they are fearful of the monitors. I spend alot of time just building relationships of trust with them so they feel comfortable talking with me about their breastfeeding concerns. Since the parents watch the nurses with wide eyes as they measure everything that goes in and out of their babies, it is difficult to get the parents to have the confidence while breastfeeding when they cannot measure exactly how much is going in to the baby. In the NICU, the challenge is mother and infant separation. Ideally, I would like to see both parents be able to stay comfortably with their babies. I feel that there is room for more parent education that would make them more comfortable to help in the care of their babies. The NICU is very intimidating with all of the wires that are attached to the babies and the monitor alarms going off. It makes parents and family members/visitors very nervous. NICU is a very scary time for families. It is important in my role to educate and try to help the parents be at ease with their baby. How does your hospital work contrast with your role in private practitioner? Many of the mothers who have premature babies where I work have not even considered breastfeeding. Many of the pregnancies are not planned. Formula feeding/bottlefeeding is the cultural norm. They are shell shocked to have just given birth to a baby that weighs a little over a pound. They may not have even planned to breastfeed but just spoke with a neonatologist that told them that breast milk can help save their baby’s life. Often times there is a cultural barrier…all they know is bottle feeding. They are afraid of people seeing their breasts and most have had very little prenatal care or none at all. Due to economic barriers, they come at most once a day and stay for about an hour or two and leave. Some are just stressed from the dire circumstances of their baby’s health and the stress can impede their milk supply. I spend most of my time talking parents into breastfeeding and how wonderful it is not just for the baby but for them. Many of these patients have economic stressors like one mother I supported who was back to work 2 weeks after giving birth at a local fast food chain. Many mothers are single parents and many have poor family support. Contrast that with the mothers I see in my private practice who want to breastfeed. They have already been educated about the value of breastfeeding not only for the baby but for themselves. They know they will have a healthier baby and many do not want formula to ever touch their baby’s lips. Many of these parents were breastfed as infants and see formula feeding as a failure. These parents would gladly pump or stand on their heads to breastfeed. These parents are usually higher-income, higher-educated people who have taken the classes and had the prenatal care. They are usually committed couples who do not have many economic stressors. Most also don’t have the stressor of an extremely ill child. These parents have invited me in to assist with their breastfeeding relationship of a healthy child. These groups are as different as night and day. Most mothers in the NICU will pump once they are informed of the benefits of human milk for their sick babies. But they have many social and economic barriers that cause additional stressors to the mother and infant dyad. Where as in my private practice, there are many fewer barriers to breastfeeding. These mothers have plenty of support and they see breastfeeding as the cultural/desired norm. What are the unique challenges of each of these kinds of work? I wish I could do more for these mothers. A single mother who has 5 children at home giving birth to a 28 weeker, and her car breaks down…I wish I could find a way to fix her car! Talk about stress and socio-economic factors! Also, the father of the baby is not involved. How do I meet her needs? Need I say more? My heart breaks for the disadvantaged families here. The rewards of seeing healthy babies going out the door. That is a huge reward! The biggest reward is the great big smile on a mother’s face when she can tell that the baby is nursing well. Often times, NICU mothers have a hard time exclusive breastfeeding when they go home because they still have to supplement and because they don’t trust that the baby will get enough. I do test weights so the parents can see what baby is getting. I have had a mom of twins that is now exclusively breastfeeding because she was coming in for outpatient consults after her babies were in the NICU. That has been a very rewarding experience for her and me. I have to say that my private practice support group recharges my soul when I get discouraged working in the NICU. Those mothers and babies in the NICU have so much working against them, separation, sick baby, having to pump, stress, stress stress. Nurses that are used to measuring everything going in and going out that are unsure of breastfeeding and inadvertently say the wrong things…parents that stop pumping or don’t want to put baby to breast and I feel like I have failed them…like I have let them down. Then I go to my mother’s support group and look at the 2 year old that is still nursing whose mommy told me he was a failure to thrive 20 months before. I am encouraged how we worked together and he is a beautiful happy breastfeeding boy! Or the mom that says she is thinking of weaning and at the end of group says, “Nope, we’re not ready yet”. I have moms of newborns that are having melt downs and another mother puts her arm around her and tells her not to give up. I have hope for the next day. Annapolis Breastfeeding Care,LLC, was formed in January of 2008 by Kathleen Stahl, recognizing the needs of women and infants with the desire to receive services in the privacy and comfort of their own home. Kathleen provides private home consultations, breastfeeding classes, pump rentals, sales and breastfeeding accessories. 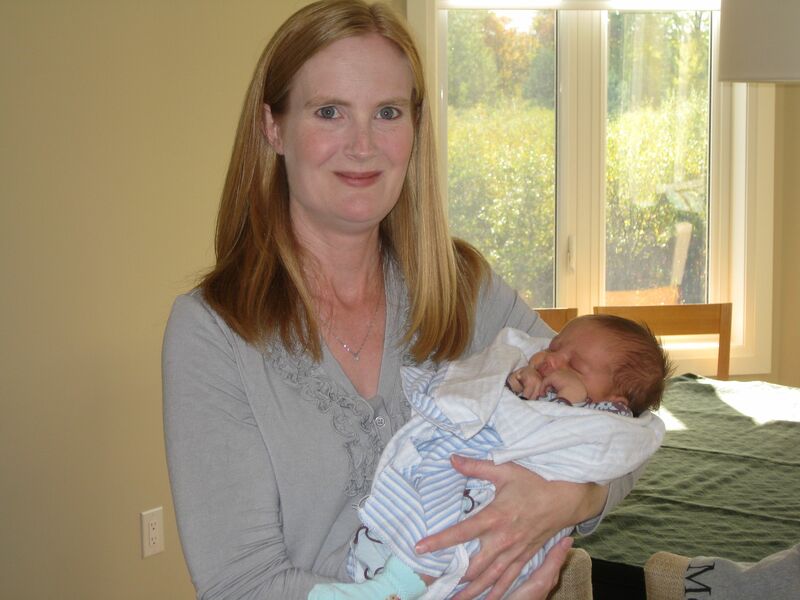 Kathleen has been a registered nurse since 1994 and an International Board Certified Lactation Consultant since 1999. 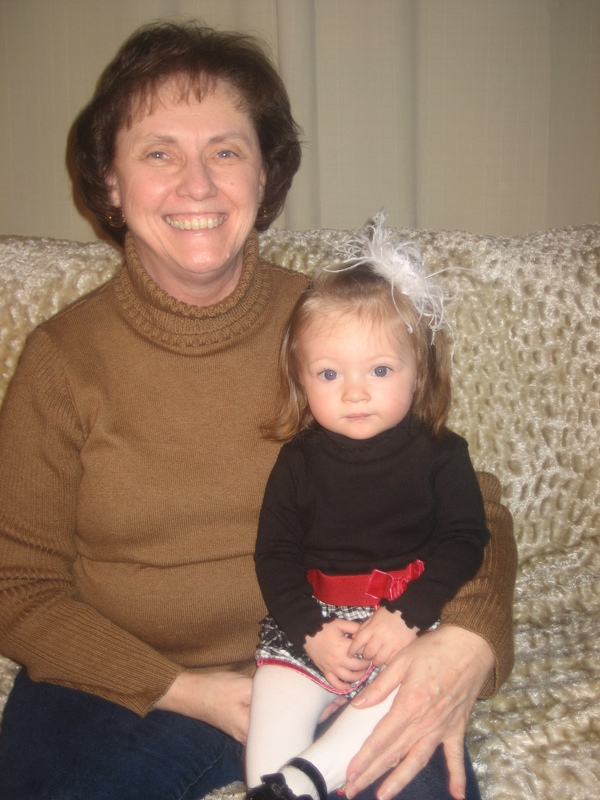 After years of working in Labor and Delivery, Kathleen decided to dedicate her nursing skills to helping mothers breastfeed. Kathleen is a strong believer in the many benefits which breastfeeding provides for both mother and baby, and after almost 10 years of working in Lactation departments, helping mothers and listening to their struggles and concerns (and having had two kids of her own! ), Kathleen realized that having to travel back and forth to the hospital with a newborn added unnecessary stress to new mothers. So, in January of 2008 Kathleen started Annapolis Breastfeeding Care, LLC, which offers a wide array of lactation consulting services, geared towards bringing quality lactation services and products to the comfort of one’s home. Last month, I had the pleasure of interviewing Wendy Wright, MBA, IBCLC, and owner of Lactation Navigation, a business committed to empowering mothers, babies, and employers by easing the transition from maternity leave to work through education, preparation and communication for all issues related to breastfeeding. Robin: Wendy, tell us about Lactation Navigation. Wendy: Lactation Navigation serves to help women return to work without weaning. We provide our support through three primary pathways: (1) directly working with employers on breastfeeding policy and breastfeeding support programs, (2) directly supporting new mothers through teleconference education, on-site return to work classes, pump rentals and free community classes offered monthly and (3) training lactation consultants to assist employers and mothers in their specific geographical areas. I have also begun to explore the iphone to assist women in their return to work – the pump@work iphone application has been available since 2010 and is selling well in the Apple store. 50% of proceeds from sales are donated to the California Breastfeeding Coalition. 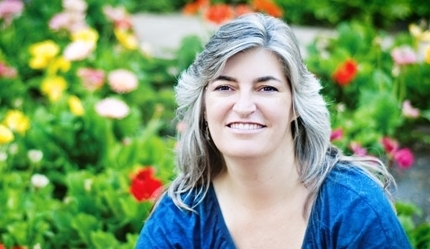 Robin: How did you decide to focus on workplace lactation for your business? 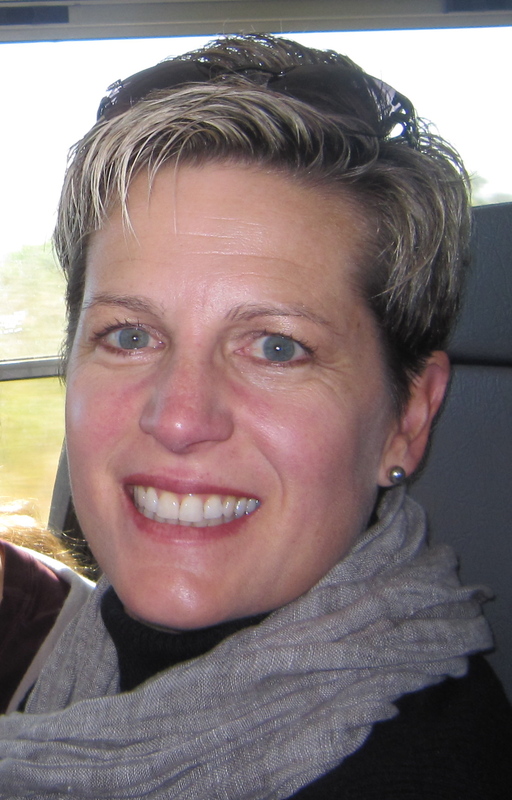 Wendy: I worked in the crazy up and down world of biotech marketing for 20 years before becoming an IBCLC. During my biotech employment, I gave birth and breastfed two great children. Maddy – currently 12, breastfed for 18 months during which time I traveled for approximately 40% of each workweek. Teague – now 5, breastfed for four years during my last biotech position and my return to school for the IBCLC. I always knew I would breastfeed and would never allow work to get in the way. As I met more and more mothers, it became obvious that returning to work without weaning was very difficult for many – priorities are often confused, commitment levels are not built initially and employment rights are misunderstood. Once I became an IBCLC, the choice to focus on workplace nursing was straightforward and there were very few experts available on the topic. Robin: What can we do in our communities to promote better workplace lactation support? Wendy: I would encourage each lactation consultant to work with their local hospital to offer a back to work breastfeeding course at a reduced rate or for free. This will give women a place to turn and an opportunity to network with other mothers in their same position. Lactation Consultants will benefit by gaining referrals, networks and potential corporate clients. Also, get involved with your local breastfeeding coalition – when back to work legislation or breaches of policy occur in your area, you can be the local expert to assist and promote the appropriate breastfeeding resources and support. Robin: Where can a woman find out what her rights are as a working, breastfeeding mother? Wendy: The National Conference of State Legislators summarizes each states’ current breastfeeding laws, it was last updated in May 2011. Also important to review is the National Fair Labor Standards Act (part of the Affordable Care Act). The Act has been amended to provide rest breaks and space for employees who are nursing mothers to express breast milk. The amendment became effective on March 23, 2010 – and where there may be a conflict between federal and state law on a particular issue, the amendment specifically provides that the federal law does not preempt a state law providing greater protections. This is great news for all American women and babies! Robin: What is the most rewarding aspect of your business? Wendy: I love listening to success stories once women have returned to work. I learn something from each experience and then can apply the new understanding to helping more women successfully balance work and breastfeeding. Lactation Matters is always looking for innovative and excellent IBCLCs to profile on our blog. Today, we are profiling Diana Jordan, an IBCLC working with the Breastfeeding Center of Pittsburgh. She was nominated by her fellow practitioner, Ellen Rubin. We are so honored to share this profile of Diana with you. I began my career in lactation as a breastfeeding mother to my 2 daughters in the mid 1980’s. The help and support I received from La Leche League prompted me to become a group leader in 1987 and eventually held several area leadership positions for the organization. In 1990, the WIC program was in the beginning stages of developing a breastfeeding program. A friend, already an IBCLC, suggested I apply for one of the “breastfeeding doula” positions. I began working for the WIC Breastfeeding Program in 1991 where I did in-home consulting with mothers and babies under the supervision of an IBCLC. The program gradually took a turn towards hiring lactation consultants instead of peer counselors, so in 1996, I sat for the exam and became an IBCLC. I continued to work for WIC until 2008, when I took a position at The Breastfeeding Center of Pittsburgh. In my current position, I do in-office consulting. Mothers schedule a consult and are seen by both an IBCLC and a physician, who is usually an IBCLC. After taking a thorough history, I observe a feeding with mother and baby, answer questions and address problems with latching, positioning, or any other part of the breastfeeding experience. I present my opinion of and solution for any problems to the physician who then does a physical exam of both mother and baby. I am available for any follow up consults or phone calls as needed by mother. On an average day I can see as many as 5 mother/baby dyads. I then chart in an Electronic Medical Records system and letters are sent to both mother’s and infant’s PCP. The challenges I have working in this setting are the volume of mothers I may see in one day. It can be difficult to provide each mother with the amount of time she may need to meet not only the physical challenges she may be having but the emotional challenges. I try very hard not to just “fix” the problem but give mother the confidence she may need to successfully meet her goals, but I am limited in the time available to do this. 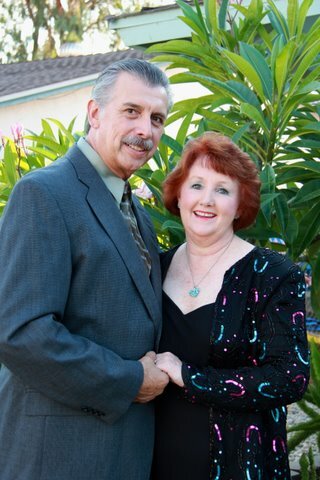 I feel very lucky to be working with Dr. Nancy Brent, IBCLC, the Medical Director. She provides the medical view that I haven’t had in my previous positions. She and I are able to work together to provide mothers with a complete consultation. Breastfeeding challenges or problems are addressed, prescriptions are written as needed, and tests or cultures are taken if necessary. It is a unique opportunity to meet the patients needs completely. I would encourage all those working in the field of lactation to take advantage of all the opportunities we have available for continued education and networking. It is easy, in any profession, to get too comfortable in one’s knowledge base. The one thing I have found in my 16 yrs as an IBCLC is that there is always something to learn. Every mother and every baby have their own individual needs, problems, and solutions. With each consult comes an opportunity to learn and grow as a Lactation Consultant. I look forward to each lactation consult as I would a puzzle. You have to work with the pieces given to you and become a team player with mom, baby, and family to put the puzzle together. I feel so fortunate to have traveled this road of an IBCLC. I never thought, when I struggled with nursing my first born, that my journey in life would lead me here. I am thankful to LLL for the support and help that was given to me with my early challenges, and give them credit for not only my becoming an IBCLC but for the support and respect given to me in my journey of mothering. Fleur Bickford is an IBCLC in private practice who lives in Ottawa in Ontario, Canada with her husband and two children, ages 6 and 8. Lactation Matters is glad to profile Fleur and find out a bit more about how she has used social media to promote her business and connect with breastfeeding mothers. I have always had a passion for helping others and I always knew that I would work in health care. After completing a Bachelor of Science in Life Sciences, I went on to become a Registered Nurse. It was during my maternity rotation at school that I discovered how much I loved working with new families. I got a job as a graduate nurse on the obstetrical unit of our local hospital and gained experience in labour and delivery, post partum care and pediatrics. After becoming a mother myself, and experiencing breastfeeding challenges with our second child, I discovered both La Leche League and a passion for helping other families with breastfeeding. I became a La Leche League Leader in 2007 and in 2009, I wrote and passed the exam to become an International Board Certified Lactation Consultant (IBCLC). I chose to start my own private practice as an IBCLC after passing the exam as it gives me the flexibility to work around my children’s schedules. I see clients mainly in their own homes although in urgent situations, they sometimes come to me. In between consults, I can usually be found answering e-mails, making follow up calls, writing articles for both my own blog and the Best for Babes blog (ed. note: Read Fleur’s fantastic post “The Latest on Latching” with Best for Babes), and updating my Twitter and Facebook profiles. We are very lucky in Ottawa to have a large and very active group of IBCLCs and I enjoy volunteering some of my time as president of Ottawa Valley Lactation Consultants. When I started my business, it seemed natural to use the Internet as a means to market it. After our first child was born, I frequently turned to online forums for information and support. I started to realize then how powerful the internet and social media could be. No matter what time it was, there was always someone online to chat with when I had questions and concerns. Recent stats show that 95% of adults age 18-33 are online, with 80-89% of them using social networking sites. I created business profiles on both Twitter and Facebook, and I also started a blog. My goal was to use the blog as a means to market myself by providing up-to-date information about breastfeeding, and Twitter and Facebook seemed like good ways to promote my blog. As I started using Facebook and Twitter, I quickly discovered that along with the ability to market my business, there are many other benefits to social media. I have found that Twitter in particular is a wonderful medium for networking with others in the lactation community. I have made wonderful connections that I likely wouldn’t have made otherwise. I started a weekly chat on Twitter for breastfeeding professionals and volunteers using the hashtag #LCchat, and every Wednesday we share information, inspire and motivate one another, and connect with others around the world who are also working to support breastfeeding mothers. Along with the marketing and networking, social media is a powerful way to reach both parents and other health care providers with accurate information, and to promote both breastfeeding and our profession. I also learn a great deal from the interactions I have with parents online. I am able to keep in touch with what parents are experiencing and worried about, and the interactions I have with parents allow me to refine my approaches to teaching and promotion so that I am better able to empower families to reach their breastfeeding goals. You can see for yourself how Fleur is using social media on Facebook, Twitter and on her blog, Nurtured Child. I first met Rose deVigne-Jackiewicz in 2008, when I began my supervised clinical hours (through UCSD’s Lactation Consultant Program) at her outpatient lactation clinic at Kaiser Permanente in San Diego, CA. Within minutes I knew that this woman was special! Her kindness and support she offered me, as well as the plethora of ‘soon-to-be lactation consultants’ that spent time in her clinic, was unmatched. Within months she transitioned me from a passive spectator to an active participant in helping mothers learn to breastfeed their babies. I will forever be grateful for the education and clinical style that I learned, and continue to learn, from Rose. How did you decide to become a lactation consultant? When I was working in Labor and Delivery, I learned about the lactation consultant training program at UCLA. My supervisor asked if I would like to take the program (she was offering to pay for the program). I had one baby and breastfed very successfully, but realized how much I really didn’t know. I would help new mothers start breastfeeding after delivery, but thought there was nothing to it, just put the baby to breast and they would nurse. So I trained at the UCLA program in 1984. I was pregnant with my 2nd baby at the time. When I finished the program, I admit, I felt a little cocky: I am now a lactation consultant (thought I know everything), had already breastfed a baby, and was ready to breastfed my 2nd baby when she was born. What could go wrong?! The first mother I worked with after my training was a young 19 year old who was having problems getting her baby to latch. I worked with her for 3 hours that day. Went home, patting myself on the back, thinking, wow, I did a great job working with that mother. When I came back to work the next day, I found out in report, the mother decided to switch to bottle feeding. I admit, my first thought was, “How could she, after everything I did for her yesterday”. Well, that mother taught me a very valuable lesson…first, 3 hours is WAY too long to work with mother and baby at a single time, second, TALK to the mother, find out how she is feeling about the feedings, and what does SHE want to do. I had just charged in and followed my own agenda. Wish I could go back and apologize to that mother!!! Can you describe a typical day in your outpatient clinic? A typical day in my outpatient clinic, hmmmm. Well, first of all, it is usually fully booked! I start the day by reviewing the schedule and gathering the information about mothers and babies coming in that day. The babies range from a few days old to years old, depending on the issues. The majority of the babies are newborn to 6 weeks old. I receive calls from other pediatrician’s, obstetrician, and primary care offices with mothers and/or babies that need to be seen. So in spite of the schedule being full, I often will add on throughout the day. I will often need to contact the pediatrician or obstetrician due to special issues going on with mother or baby (such as excessive weight loss, jaundice, mastitis, etc). Throughout the clinic day, there are frequent knocks on the door, mothers wanting to ask a question, walk in – wanting to be seen, and also mothers just wanting to show me their baby or grown child and saying ‘Thank You’ for helping them be successful at nursing their babies. I have learned to multi-task throughout the day, seeing 1-3 mothers and babies at one time, answering the phone, answering the door, etc. Having a new mother come in to the clinic in tears, wondering what she is “doing wrong”, and having her walk out all smiles. The saying on my cup says, The Greatest Joy is Nursing One’s Own Infant, The Second Greatest is Helping Another Woman to Nurse Hers. I have the best job. Not only do I help mothers learn to feed their baby, but I help them become a better mother and we end up with a happy, healthy mother and baby! Being a resource for other nurses and physicians is another very rewarding aspect of my job. I get many calls per day from other health professional asking for information related to “their” patients. You are a mentor many soon-to-be LCs. How has this enriched your practice? Oh, my goodness, I love working with and mentoring soon-to-be LCs. When I finished my training at UCLA, I got my clinical training, “on the job”. I look back to those early days and wished I had someone beside me, guiding me. Being able to help educate someone else to do what I do is really an honor. But, it also helps me in the clinic, having an extra set of hands in the clinic help me help MORE mothers and babies. Do you have any advice for other lactation consultants who plan to mentor a new LC? Don’t look at it as “something else you have to do”. You are seeing the mothers and babies anyway. It really does not take that much more time (overall). Once your ‘lactation-consultant-in-training’ is “oriented”, you will find you can get MORE done and see more mothers and babies. Remember when you were new in the field….. give back! You will really enjoy it. Also, I want to be able to pass on that passion to those following in my footsteps. I will not be here forever…. I want those taking over for me to have the same experience, knowledge and passion as I do. Call me if you need help!! 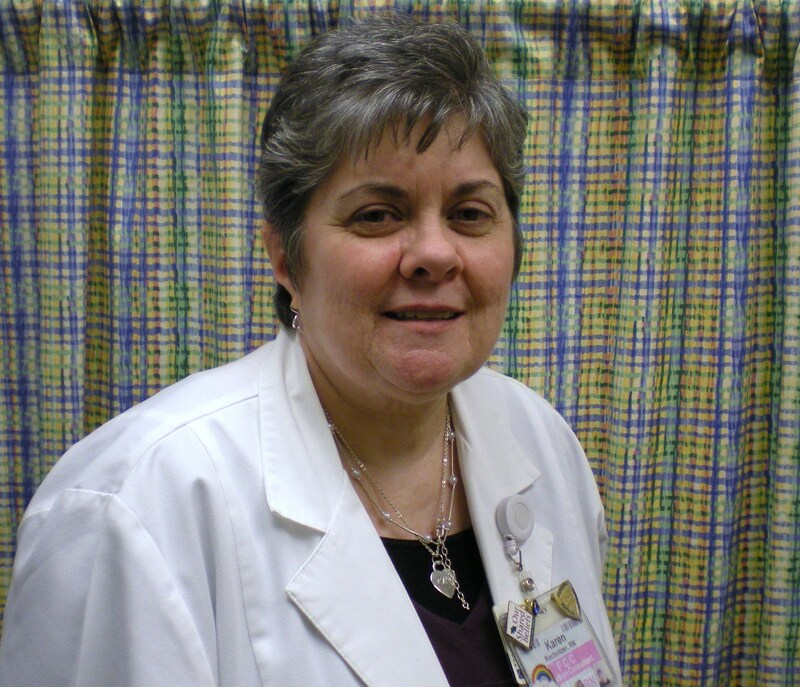 Rose deVigne-Jackiewicz, RN, MPH, IBCLC, has been a lactation consultant since 1984. In 2000, she started one of the largest outpatient lactation clinics at Kaiser Permanente in San Diego, CA. Rose has mentored several hundred soon-to-be lactation consultants through the UCSD Lactation Consultant Program. She also has given many lectures around the country, including ILCA in 2011.